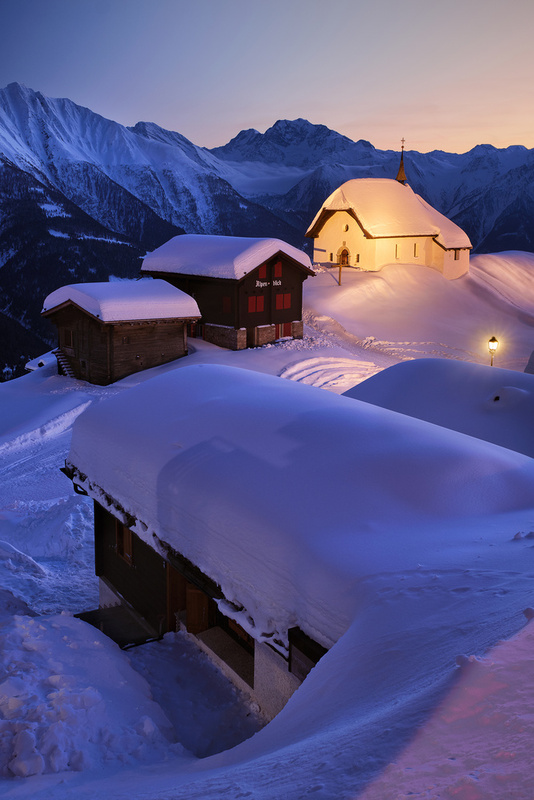 Iconic view over the Bettmeralp church in Wallis, Switzerland. This village is only reachable with a cable car and like Zermatt, there is no cars driving through. Last week was very snowy, so we decided to go up with a friend to go skiing and at the end of the day we decided to collect this shot as bonus from a already really nice day.